Learn techniques for spinning flax and cotton in this HD video download! 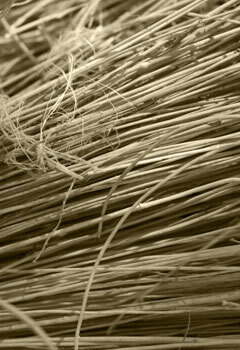 Norman Kennedy shares traditional techniques passed down from generations for processing and working with these plant fibers. Discover time honored techniques for spinning flax as well as spinning cotton plus hear compelling stories of these textiles' history. Discover the process of taking flax from seed to strik. Learn two methods of dressing a distaff. Watch a cotton bow open. Learn how to clean cotton fiber for carding. See a two-handed flax wheel, a Shaker walking wheel, and a variety of spindles in action. Through each different segment, you will discover a large helping of tips and tricks so you can master these techniques for processing and spinning flax and cotton. From his youth in Aberdeen, Scotland, Norman Kennedy was fascinated with learning the old textile traditions. His work has preserved stories and techniques passed down through centuries, and in this workshop he carries on the legacy. 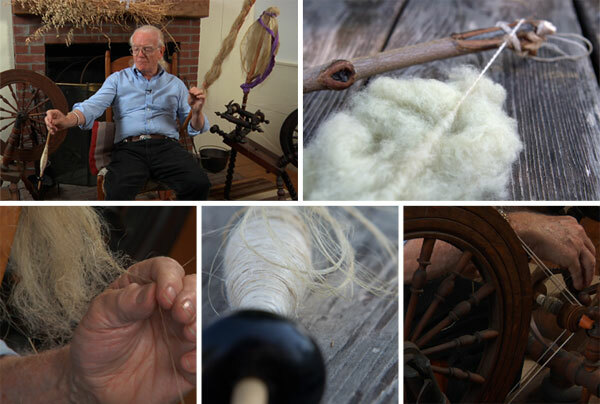 From methods of spinning flax to using a cotton bow in the Cajun style, Norman shares his knowledge from around the world and through the ages in Spin Flax and Cotton. BONUS! Norman demonstrates using a traditional indigo dye vat and explains how he creates stunning depths of color. Spin Flax and Cotton is available as a one disc DVD, standard definition download, or a high definition download.